Richmond, B.C. 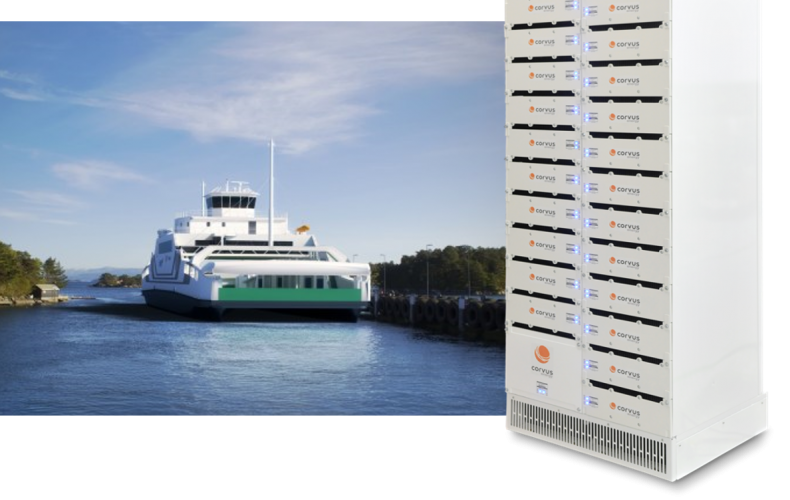 – November 30, 2017 – Corvus Energy is pleased to announce that it has been chosen by Norwegian Electric System (NES) to supply a lithium ion based energy storage system (ESS) for a new all-electric ferry being built by Fjellstrand for Norwegian ferry operator Fjord1. Corvus’ Orca Energy ESS solution will supply electrical power to the ferry’s NES all-electric power and propulsion system. 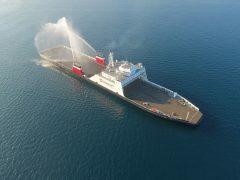 The selection of the Orca Energy ESS demonstrates NES’ and Fjord1’s commitment to environmental sustainability by equipping the ship with the industry’s most advanced and environmentally-friendly technologies that eliminate emissions and reduce operational costs. The all-electric ferry will be equipped with a 2.9MWh Orca Energy ESS to power all vessel operations. Fjord1 ferries are an integral part of the transportation infrastructure along the west coast of Norway, crossing the fjords and connecting the islands to the mainland. The Fjord1 ferries and passenger boats transported 10.5 million vehicles and 21.5 million passengers in 2014. This new all-electric ferry will operate on the Halhjem-Våge route in Hordaland. 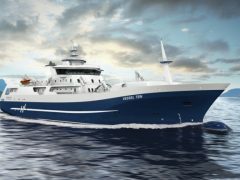 Norwegian Electric Systems (NES) is a total system integrator of diesel electric and hybrid electric systems for the global marine market. Energy storage systems such as the Orca Energy ESS are at the heart these projects. As the leading manufacturer of energy storage systems for maritime applications, Corvus offers the innovative Orca ESS solutions portfolio and has unsurpassed experience from 100+ projects, totaling over 75MWh and 1.5 million operating hours.